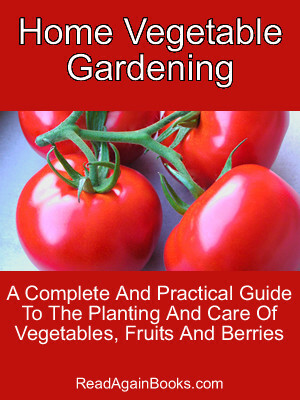 Home Vegetable Gardening is a 142 page guide to the planting and care of vegetables, fruits and berries in your garden. Although written by a US author, the practicalities of gardening are fairly universal and so a lot of good advice can be found in this guide regardless of where you may live. File Size : 2.75mb approx.